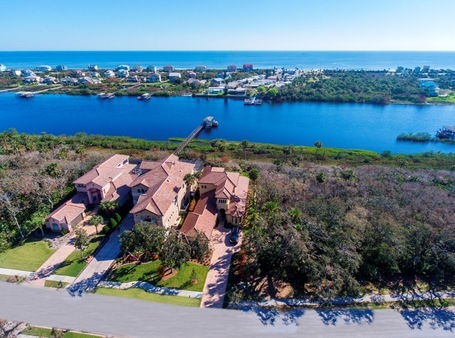 Once a wildlife preserve, the 4,000-acre gated community on the Intracoastal Waterway contains an elegant combination of classic Floridian architecture and tropical greenery. As you pass through the entrance gates, the spring-fed 128-acre Emerald Lake stocked with fish and with dramatic fountains spraying into the air, parallels the road where you may see wildlife sunbathing and soaking up the sunshine in one of the best retirement cities in Florida. Walking trails wind through the waterfront community under trees cascading with Spanish Moss leading to nature lookouts and great fishing spots.